#Bloggers are simply complicated! Yes, figure that one out. Writing completes us. Yet, we find a million reasons of not being regular at it! Social media recognition charms us. Yet, we cite this as our most common distraction preventing us from doing the very blogging that gave us the recognition in the first place. We are intellectual but conflicted; social but aloof; creative but easily sidetracked and enthusiastic but cynical! We are unique, in every sense of the word, aren’t we! Bloggers, however, always strive for motivation, which comes in all shapes, sizes and forms. #Blogchatter has been a reliable source for a healthy dose of motivation all year long. From weekly doses of #MondayMotivation and Twitter chat, to annual blogging festivals like #AtoZChallenge and E-Book Carnival, Blogchatter has been instrumental in providing the Indian bloggers with plenty of opportunities to find their groove and stay inspired. With #BlogchatterProjects, last year, the good folks at Blogchatter, served an excellent campaign for bloggers of all genres, styles, interests and preferences. It was aptly called projects because, like a well-executed professional project, it applied the “horses-for-courses” approach. While the freedom of choosing topic, designing campaign and committing to blog only four times a month, made sure that all the creative faculties of authors were satisfied, Blogchatter itself took care of the promotion and strategy. The project approach worked perfectly for me as I often find the balancing act of creating content and promoting it, much harder than my peers. This shared approach took that burden off me and let me venture into writing for a genre that I had never explored before. I had always been interested in leadership, management and personal development. I had undergone professional trainings to hone these skills and was motivated to share them further. 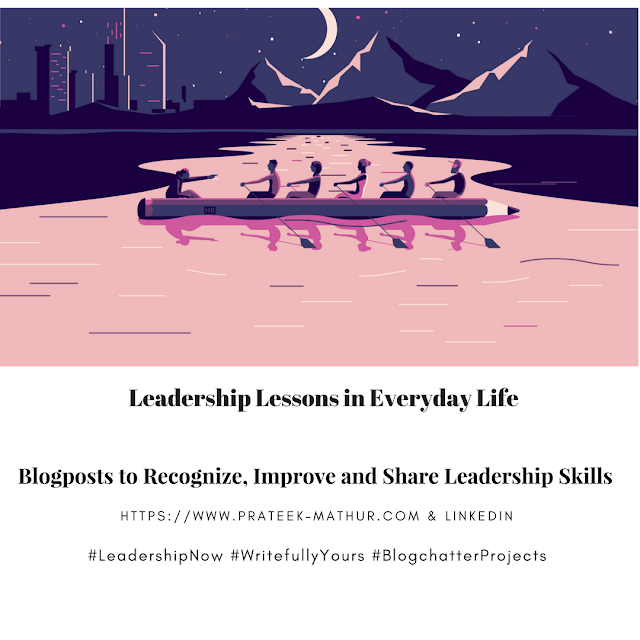 I chose “Leadership Lessons from Everyday Life” as my project topic and decided to share my views and learnings. I also challenged myself by sharing these posts on LinkedIn and amongst my professional network, thus, taking my blogging to the next level. This was the second time in one year that I had been motivated to do so. Earlier the E-Book Carnival had inspired me to share my work with my parents and family for the first time in 8 years of blogging. The results were amazing! The idea of choosing a specific #hashtag for every campaign let us track our progress and that itself was an unbelievable experience. I used #WritefullyYours for the blog and #LeadNow and #LeadershipNow for my posts for the campaign. 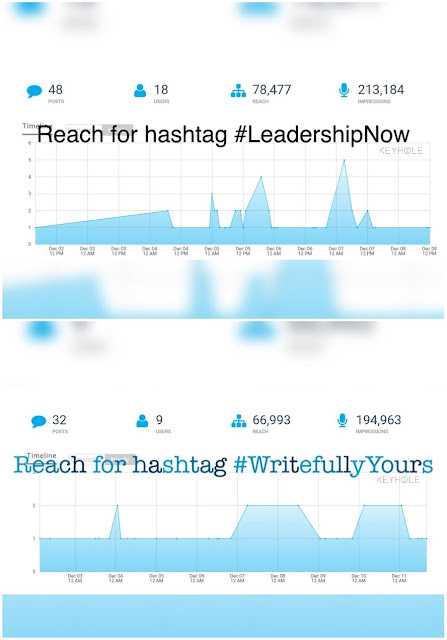 In the first week of the campaign, I wrote about “Leadership Lessons in Everyday Life” and #LeadershipNow reached over 78,000 people with 213,000 impressions. The hashtag #WritefullyYours reached about 67,000 with 194,000 impressions. 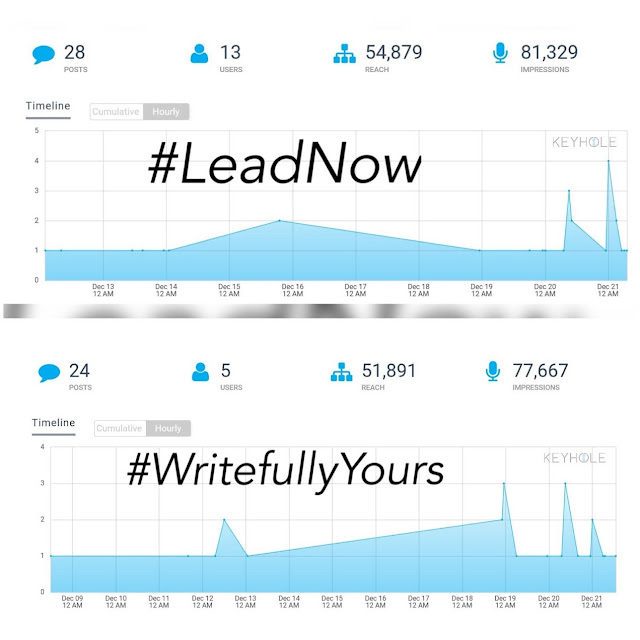 My next post – “Growing Old vs Growing Up – The Need for New Leaders” was also hugely successful with the hashtags #LeadNow and #WritefullyYours reaching over 55,000 people with over 80,000 impressions. But the most heartwarming reward was to be top post on #Indiblogger. I had been blogger for 8 years, and among my many rewards, being a top voted post on Indiblogger was always lacking. With #BlogchatterProjects, I achieved that twice in a row! Reminiscing the projects would be incomplete without mentioning the connections that I built in those 4 weeks with the fellow project participants. The variety of topics and the diversity of candidates was astonishing. It was both humbling and inspiring to see the sheer talent in the mix. To name only a few, we had @arvjpr documenting Jaipur in photographs, @SKparenting blogging about kids’ #STEM skills development, @ranveer_78 trying to make #PoetryPositive, @PiyushaVir giving tips on how to become a writer, @ravishmani giving people opportunities to feature in a book by sharing their stories, and one of my personal favorites, @nehatambe interviewing people following alternative careers! Yours truly featured in one of the posts by her on Food Science, that I guest wrote in an interview format. I later was into another LinkedIn post. Blogchatter Projects was a campaign that made me grow as a writer. I could reach the avenues that I did not know existed by writing on topics I never even considered writing on! Talk about next level! Blogging is a professional hobby. Yes, figure that one out too! But its so, isn’t it? It takes passion, effort, networking and, every now and then, re-inventing! This campaign gave all of the opportunity to be all of that and more. It was a great idea and I eagerly await Season 2!